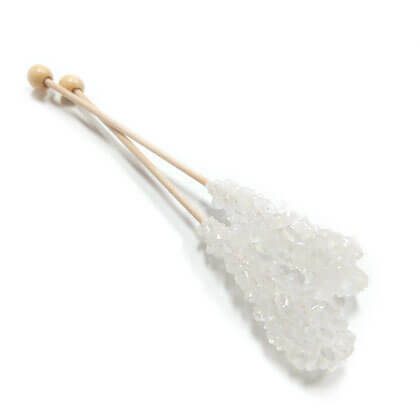 Rock candy lollipops or swizzle sticks in clear or white color. Stick top to bottom is approx. 5.5 inches. Candy portion is approx. 2.5 inches. 8 sticks per bag.